Family camps can make a great summer vacation. Parents and kids enjoy a full roster of activities, dedicated kids' programs, and the price is typically all-inclusive, covering accommodations, activities, and also meals. 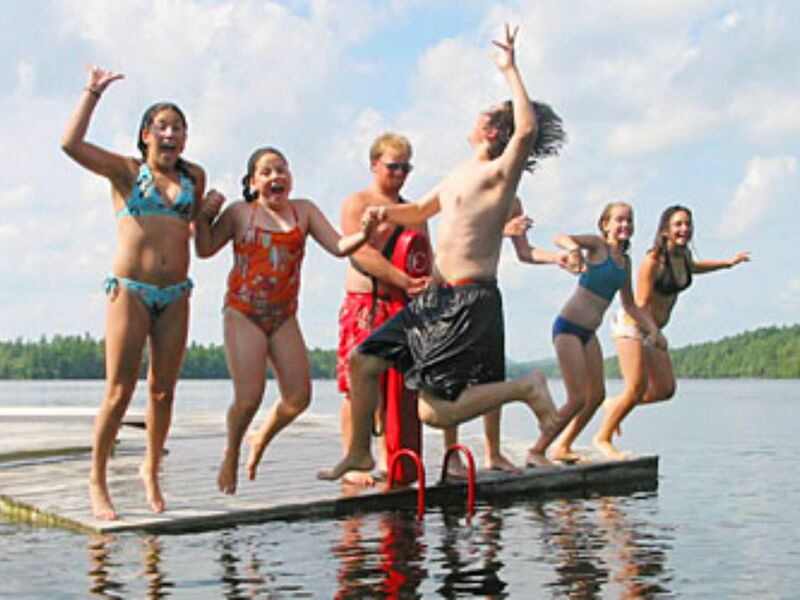 Medomak Family Camp in Washington, Maine, opened in 1995 and has been welcoming families every summer since. It is a classic summer family camp with basic but comfortable cabin-style accommodations, a program of outdoorsy activities on land and water, and a communal, fun atmosphere. This is a relatively small camp, with room for about 12 families at a time, so the atmosphere is intimate. Expect that your family will meet other families and get to know each other during the course of the week. Breakfast, lunch and dinner are served family-style in the camp's farmhouse dining room. Meals are prepared from scratch using fresh ingredients, including many from the garden. There is a lobster dinner served every week. Washington is an inland, rural town of just 1,500 residents, set along State Route 17. Medomak Family Camp is a 3-hour drive from Boston; 90 minutes from Portland, Maine; and just 25 minutes from the ocean towns of Rockland, Camden and Belfast. Medomak is set on 250 private acres, including a mile of lake shoreline. Guests stay in pine one-room cabins with queen and bunk beds, and a bathroom with a shower. Accommodations are several steps above tent camping, but quite basic in the New England camp style. Almost all of the cabins can sleep up to six people. There are reading lights, rocking chairs, beds for parents and kids, a writing table, and Adirondack chairs outside. The lake is a short walk away. Grownups and kids can try over two dozen activities led by counselors, including archery, sailing, fishing, arts and crafts, tennis, yoga, and even a Maine cheese & beer tasting. Campers are broken into age groups ranging from Little Stars through Rising Suns for middle and high schoolers. Adults are in their own "High Clouds" group. Kids are encouraged to take part in scheduled activities with their age group. Grownups, meanwhile, can be as active or as do-nothing as they like. In general, this family camp is recommended for families with kids age 5 and up. During morning activities kids age 2 to 4 can participate in supervised preschool activities. Rates vary throughout the summer season. During the peak months of July and August, the average family of four would pay between $3,700 to $4,700 for a week at Medomak Family Camp. In June, rates are about 10 percent lower.